An iOS adaptation of Microsoft's ubiquitous Office productivity suite is ready to go pending the approval of new CEO Satya Nadella, according to a recent report, but we've heard this story before. The Redmond, Wash. software giant "already has a full iPhone and iPad version of Office ready for release," Gerry Shih and Bill Rigby reported for Reuters late Thursday. "The only question is when Chief Executive Satya Nadella, who took over in February, will pull the trigger." If true, it would mark the end of a long and winding road that saw Microsoft caught flat-footed by the explosive enterprise adoption of Apple's iPad in the years following the tablet's release. If false, it would simply be the latest setback for many business users' seemingly quixotic desire to use one of the world's most popular software packages on one of the world's most popular devices. Apple brought iWork to iOS in 2011 as Office remained a no-show. The first reports of a project to bring Office to the iPad surfaced in November 2011, nearly two years after Steve Jobs unveiled the slate in San Francisco. At the time, now-defunct iPad newspaper The Daily said that Microsoft was "actively working on adapting its popular software suite for Apple's tablet" alongside an updated version of Office for Mac that itself never materialized. Three months later, the same publication returned with a hands-on preview of Office for iPad sporting a Windows 8-style "Metro" user interface. Though admitting that what they had seen was a "working prototype," The Daily nonetheless predicted that the software "could be released in the coming weeks." Microsoft immediately denied that report, issuing a statement insisting that the story was "based on inaccurate rumors and speculation." A photo of the "working prototype" handled by The Daily. Undeterred, The Daily reiterated its stance in May of 2012 with a report that the software was in the final stages of testing and its emergence on the App Store was only a matter of time. "The app is now in the hands of a usability team that appraises software that utilizes the Metro design language for 'Metro compliance' and suggests changes as needed," reporter Matt Hickey wrote at the time. "When approved by the team, the app likely will go to Apple for app store approval, which could take a couple of weeks." Boldly, this report included a specific release date: Nov. 10, 2012. The software suffered another vaporous delay in October of that year courtesy of Microsoft's Czech Republic team. Product manager Petr Bobek said the suite would go mobile sometime after March 2013, and a followup press release confirmed that in "addition to Windows, Office will also be available on other operating systems: Windows Phone, Windows RT, Mac OS, Android, iOS and Symbian." Redmond again backpedaled, this time saying that the "information shared by our Czech subsidiary is not accurate." 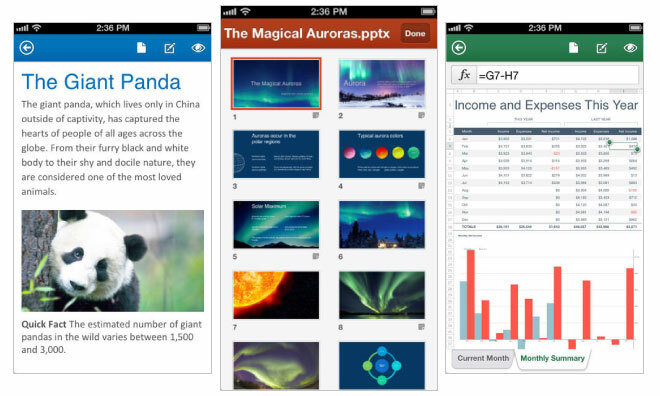 Microsoft did eventually release its Office Mobile app in June of 2013, though the iPhone-only offering is a far cry from satisfying the needs of most business users. Office Mobile operates as a companion for Microsoft's Office 365 subscription service, and the app's limited and often confusing functionality has earned it a meager 2.5-star rating on the App Store. AppleInsider's own iOS productivity showdown concluded that the app seems "to exist solely to quell the heartburn brought on corporate IT departments by anxious executives who use iOS devices but need a way to make simple changes to documents on the fly." October 2013 —nearly two years after the suite was first seen in "working prototype" mode —brought a tepid announcement from then-Microsoft CEO Steve Ballmer, who indicated that development on Office for iOS was "in progress." 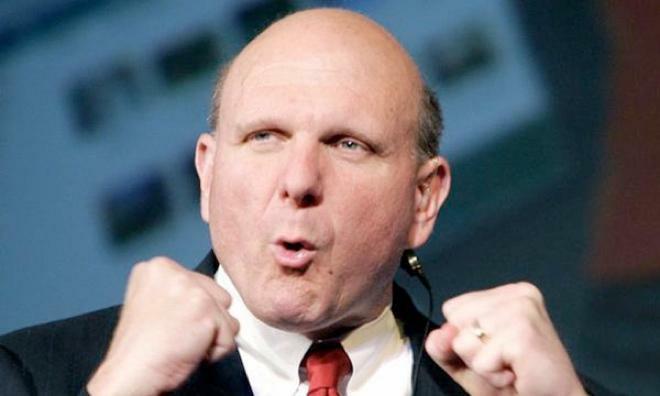 Ballmer did not allude to a release date, only saying that it would not be submitted to Apple until the company finished a new "touch first" user interface overhaul. Given the resources Microsoft has dedicated to touch interfaces in the past four years —and the appearance of the Metro-enabled prototype —Ballmer's latter statement seemed to be at best an attempt to retroactively rationalize the fact that Office has yet to appear on one of the most dominant computing platforms of the 21st century and at worst a tacit admission of systemic failures in Microsoft's product development pipeline. Most recently, Microsoft insider Mary Jo Foley reported that Office was set to roll out in the first half of 2014, even before the suite makes its way to Microsoft's own Windows 8 platform. That development would be a slap in the face to Microsoft watchers who have repeatedly predicted the company was holding back Office for iPad until a corresponding Windows 8 version was ready in an effort to keep the nascent Windows tablet ecosystem on level footing in the enterprise. It may be true that an iPad running Office would be the final nail in Microsoft's enterprise tablet coffin, a strategic blunder not unlike that of the Incan emperor who allowed Pizarro to conquer the formerly powerful empire from within. But Surface has been a flop, and corporate IT departments staring through the rimless glasses of their iPad-toting CEO won't wait forever. Microsoft might also be too proud to let Apple have a slice of the goose that lays one of Microsoft's many golden eggs. Office generates tens of billions of dollars in revenue every year, not including the Windows licenses needed to run all those copies of Word, Excel, and PowerPoint. Most likely, though, is that today —four years on —Microsoft still lacks a coherent strategy for dealing with Apple's unprecedented move onto their turf. Fractured and disorganized after years of corporate infighting, Microsoft's response to the iPhone and iPad under Ballmer was reminiscent of Sonny Liston laboring against the ropes, holding on amidst a flurry of punches from Muhammad Ali. 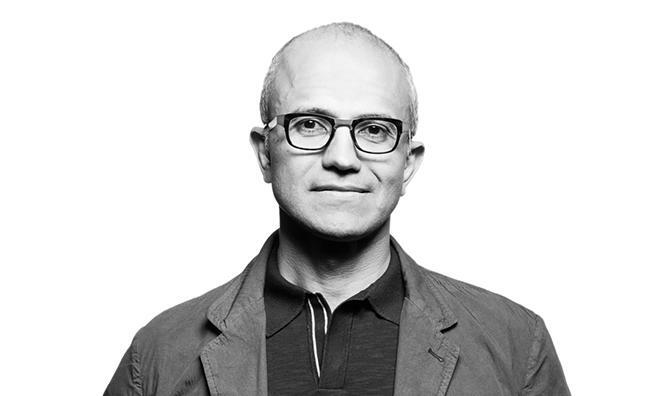 We don't yet know whether Nadella can get the aging heavyweight back into fighting shape, nor do we know how he will choose to handle the iPad problem. 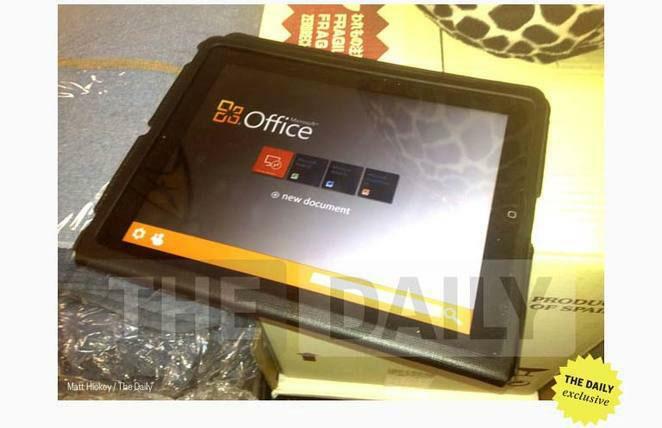 The only thing we do know is that Office for iPad won't be rushed.